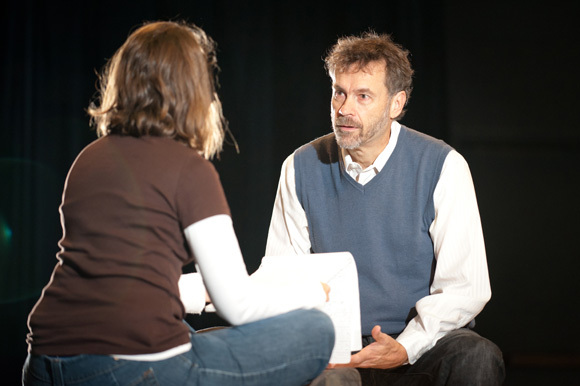 When Charter Theatre closed its doors in 2009 and the reading series was re-branded as "First Draft" under the leadership of director, playwright and artistic director, Leslie Kobylinski, Richard continued to work with the program as a playwright, director and dramaturge. In the 2010-11 season he served as Playwright in Residence at First Draft. Since that time he has worked with numerous playwrights, providing support and dramaturgical guidance and he continues to serve as a resident playwright and director. In addition he has offered writing workshops for First Draft at The Rose Theatre and he at times facilitates audience discussions following public readings. In 2012 Richard was a National Critics Institute Fellow at the Eugene O'Neill Theatre Center in Waterford Connecticut. That summer he worked with playwright, Susanne Parker, a Clemson University student, to develop her play, and in the fall of the same year, he was guest director for the production of that play at Clemson University. Richard is currently Associate Artistic Director and First Draft Resident Playwright at The Rose Theatre, Company, where he participates in various programs such as the First Draft reading series, an upcoming Podcast series, and the new Screenplay on 7th special events.